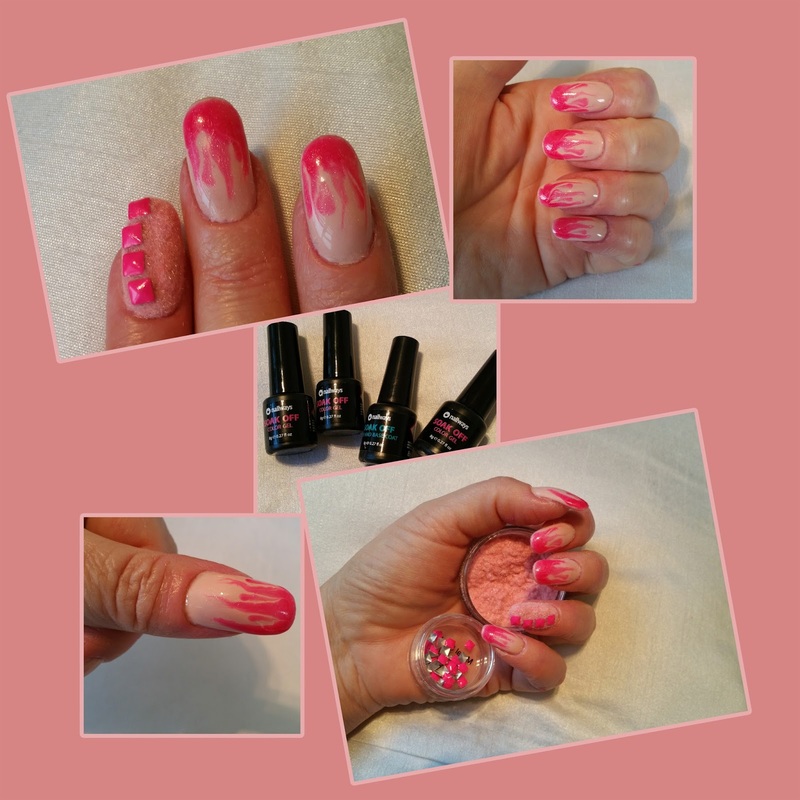 First I put a base coat at my nails with the SOAK OFF - Top and Base Coat. After curing them under a UV lamp I repeat that with the soft pink SOAK OFF - 590. 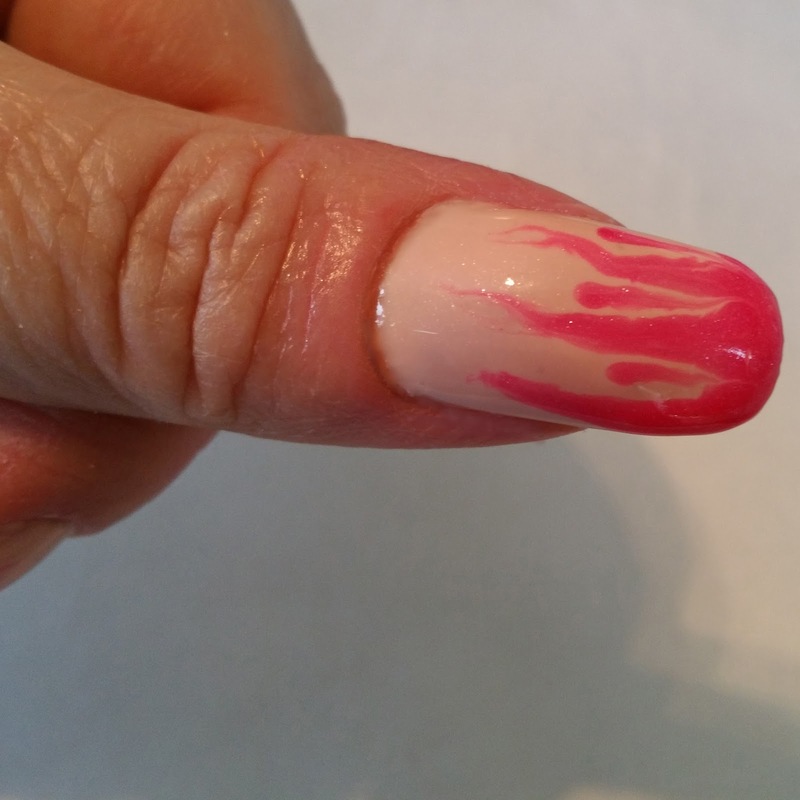 Then I put a thin layer with soft pink SOAK OFF - 590 without curing at my nail. On the top that I placed a drop of SOAK OFF - 255 on the tip of my nail. 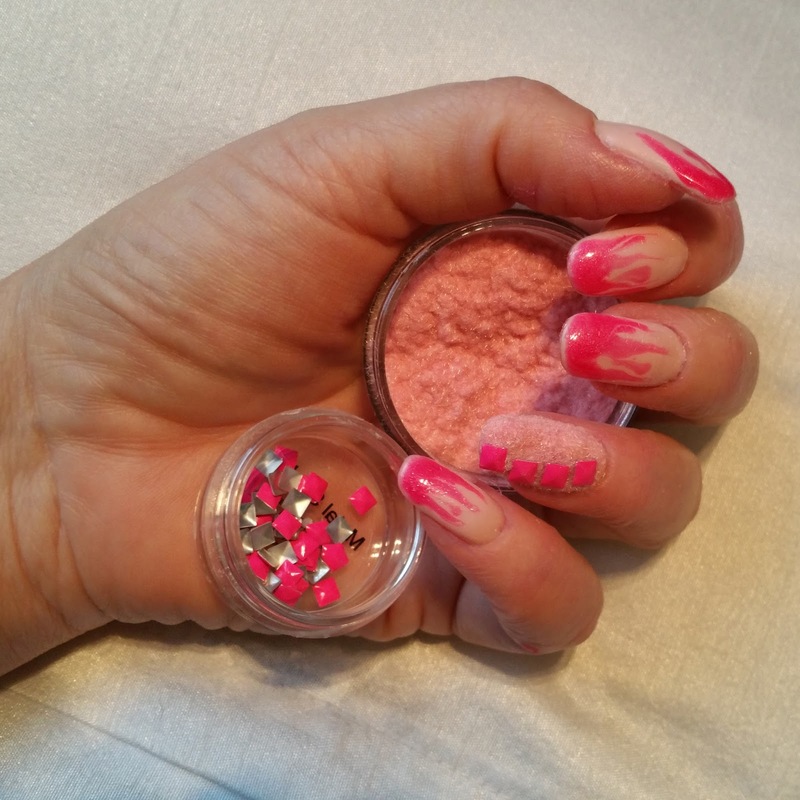 This fiery pink has a little sparkle in it! With a dotting tool I made the flames by dragging from the centre of the drop to the middle of the nail and then back. 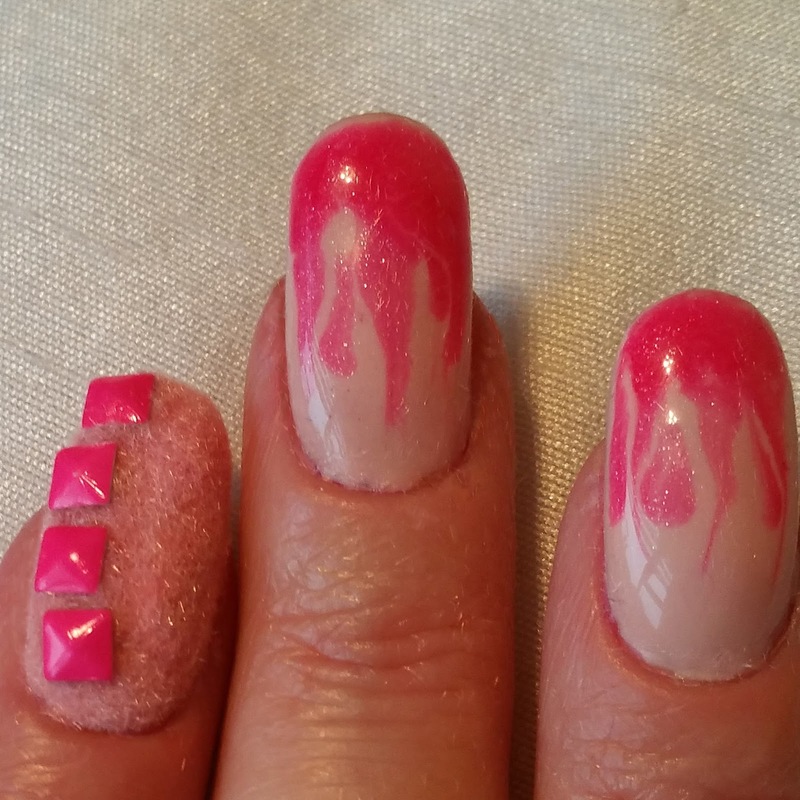 The dotting tool has still a little from the fiery pink on it, so I can make another flame. I dragged it three times from the tip and two times from the middle in between. I cured that under the UV lamp. The ring finger I polished with Seche Vite - 14ml. At the side I placed 4 neon square studs and covered the rest with soft pink flocking powder. 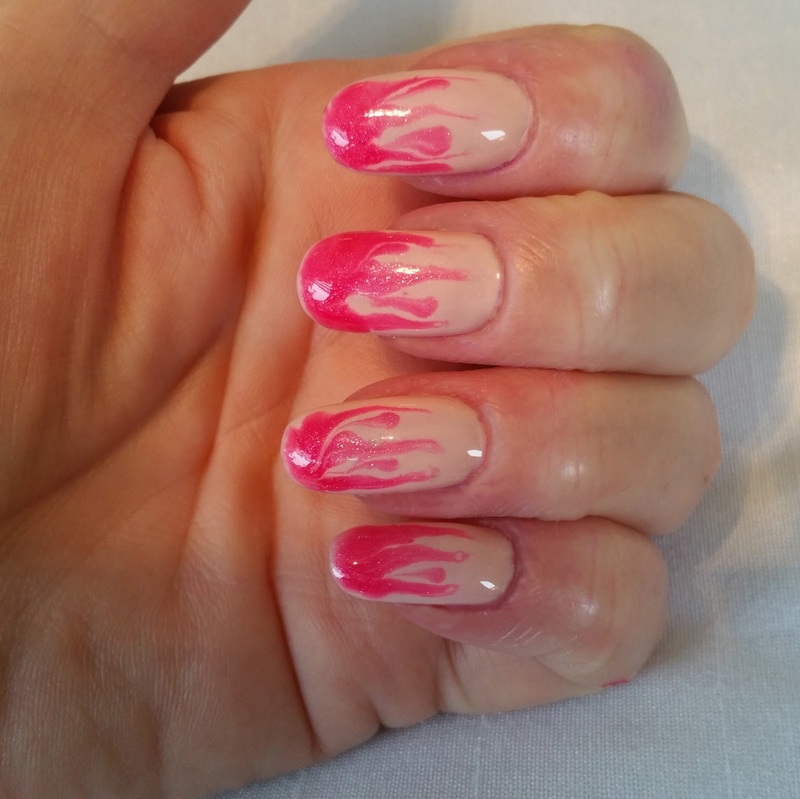 Now the high gloss of the fiery nails make a great contrast with the soft look of the ringfinger.